It's the job of business to help make the community the best possible place to work, live and raise a family. As far as Ike Heller was concerned, business is not separate from the community. An essential component of the Heller business plan is a sizeable investment in the communityâ€”ranging from pioneering corporate-sponsored child care to youth activities, senior centers and medical facilities. 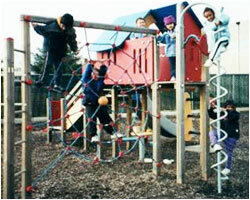 In 1988 Heller came up with what Time magazine called "The Impossible Dream" - a day care center located in his Industrial Park in Edison, NJ, for parents who worked in the park as well as the surrounding community of Edison. Built, equipped and subsidized by Heller, the John F. Kenney Child Care Center remains a model for corporate-sponsored child care, serving not only the community, but helping to make the industrial park an attractive location for business. Ike Heller's community involvement, which earned him a Humanitarian Award from The National Conference of the State of New Jersey, extends beyond the park. His support of educational, athletic and cultural activities serves both the young and the old and crosses ethnic and religious lines. Heller is also a major contributor to the John F. Kennedy Medical Center in Edison, NJ, St. Peter's Medical Center in New Brunswick, NJ, and the Public Library in South Brunswick, NJ. Taking the initiative in Franklin Township, NJ, Heller, in conjunction with the Township Council, has established and funded a foundation that solicits private corporate contributions and distributes grants to community-based groups such as the new Franklin Township Community Center. All of this adds up to the multi-faceted Heller good neighbor policy: We build with our hearts as well as with our hands and our minds. 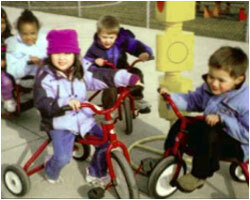 Visit the John Kenney Child Care Center on line at www.hellerparkchildcare.org.